Woburn, MA The Cummings organization, made up of commercial real estate firm Cummings Properties and its affiliate Cummings Foundation, was named the Commonwealth’s “Top Charitable Contributor” at Boston Business Journal’s Corporate Citizenship Awards. This is the third year in a row the organization has achieved the No. 1 ranking. 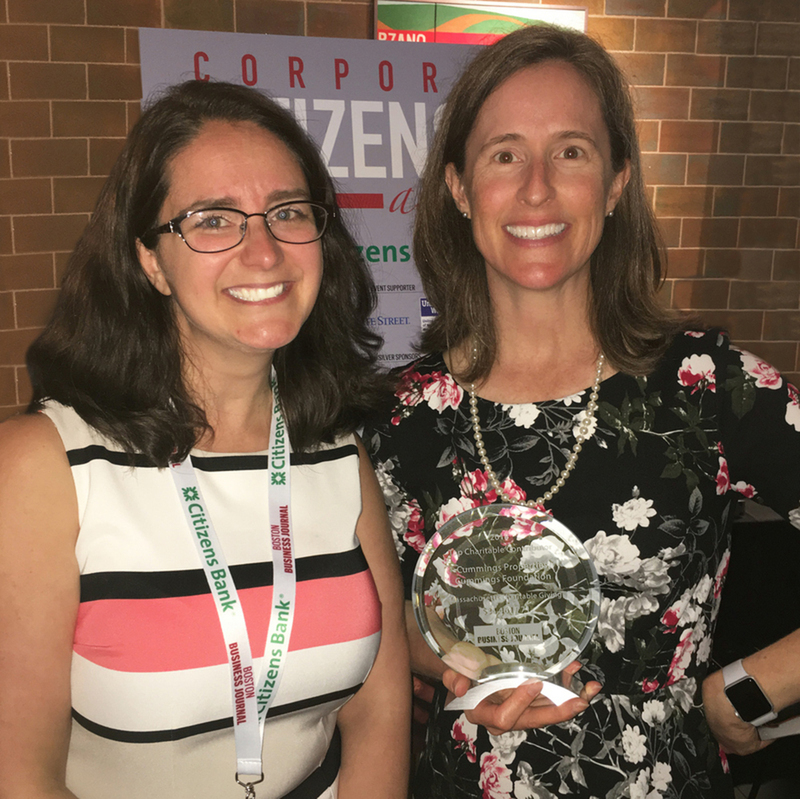 During a September event at Fenway Park, 100 companies were recognized for their giving to Massachusetts charities during 2017. The corporations’ total donations ranged from $106,340 to Cummings’ total of $34.5 million. Granite Telecommunications and Partners HealthCare System landed the second and third spots, respectively. “The level of giving we engage in each year is made possible, in large part, thanks to the more than 2,000 leasing clients who choose to locate their businesses within the Cummings portfolio,” said Eric Anderson, president of Cummings Properties. Most of the buildings managed by Cummings Properties are owned, debt-free, by Cummings Foundation and operated for its sole benefit. All of the rental profits from those buildings support local nonprofits, primarily through the Foundation’s two signature grant programs. The “$100K for 100” program awards 100 grants of $100,000 each to Greater Boston nonprofits each year. Letters of Inquiry for the 2019 grant cycle are being accepted through October 1. The Sustaining Grants program awards a total of $15 million each June as follow-on grants to previous recipients of $100K for 100 grants. The history behind the Cummings organization’s unusual philanthropic structure is detailed in the new book “Starting Small and Making It Big” by Bill Cummings, founder of Cummings Properties and Cummings Foundation. It is available on Amazon or cummings.com/book.